More congratulations to Dona and Desiree on achieving the Rally Advanced title - woo hoo! So many titles for such a little dog - way to go team! 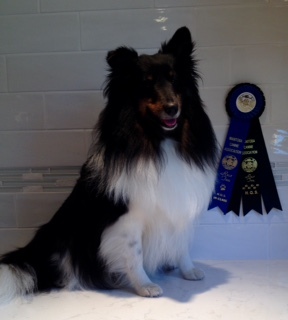 Congratulations to Dona & Desiree on earning the Advanced Agility Dog of Canada title! 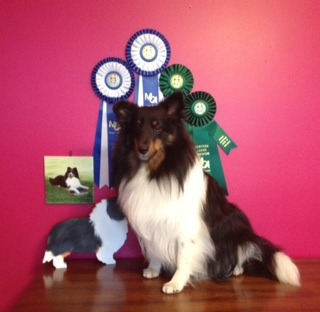 Dona and Desiree have been busy earning agility titles - AJC, SGDC, and ADC. And now they have earned the Rally Novice title - way to go, team! Congratulations to Dona Gould and Desiree on earning the CD with 2 High in Class, and 2 high in booster (WASSA and CSSA Regional) in August 2014 - way to go! Congratulations to owner Dona Gould on attaining Desiree's HIT (Herding Instinct Tested) title, plus 2 championship points, at only 11 months old! 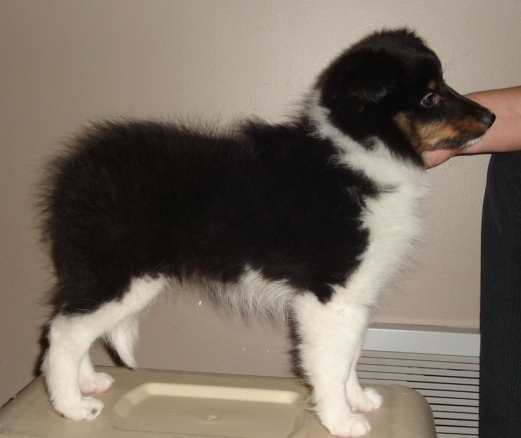 Desiree is pictured at 10 weeks. 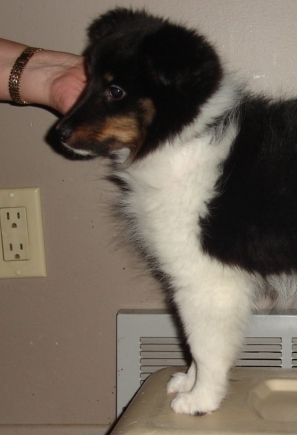 She is a busy little girl, and is now with her new owner Dona Gould.